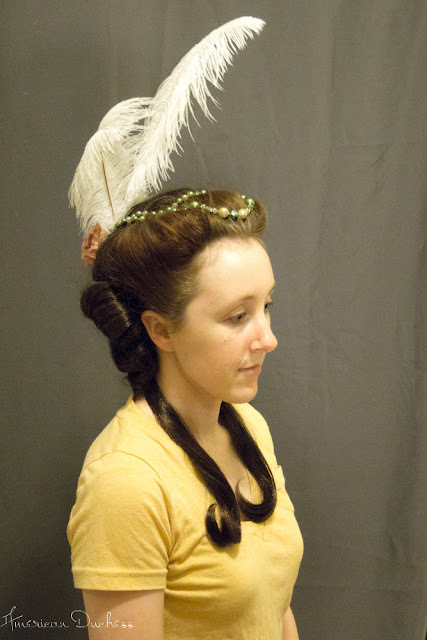 ...but more on this later, and other things to stick in your coif. 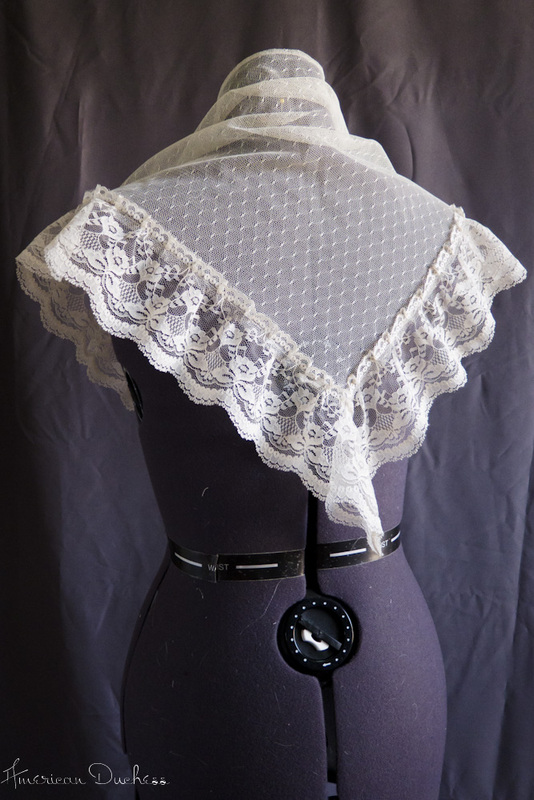 Also, I found this neckerchief on eBay for $6, yay! 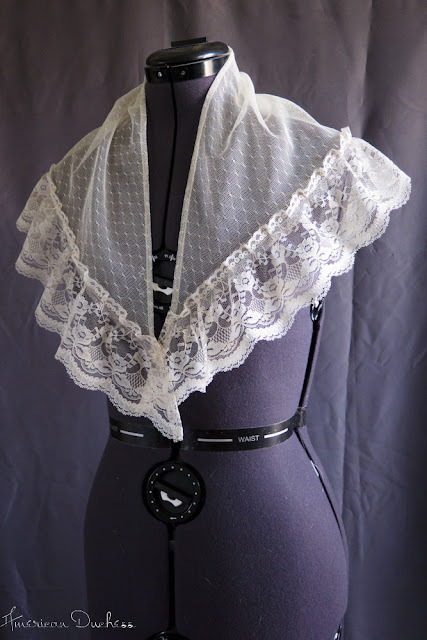 I know the lace on it is a little young in style, but I like the thing very much. I hear that. 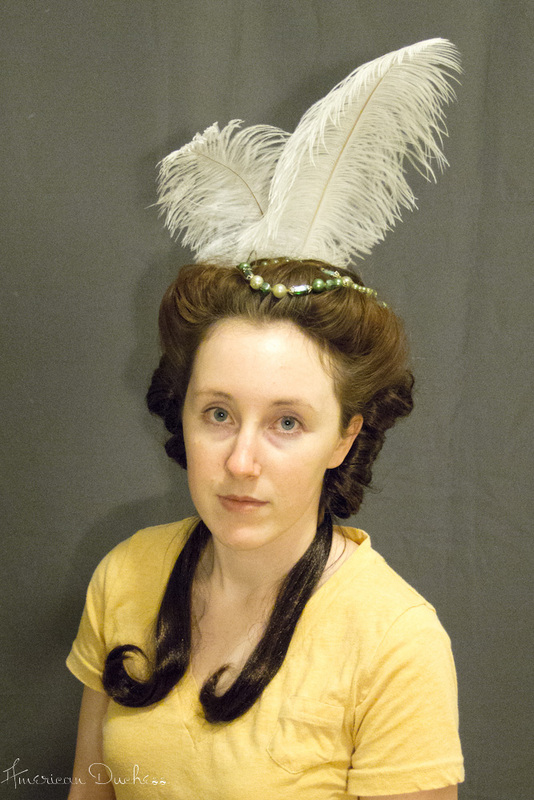 Luckily the hair gets far easier in the 1790s, heck even the 1780s are easier compared to the 1770s! I anxiously await your posts!